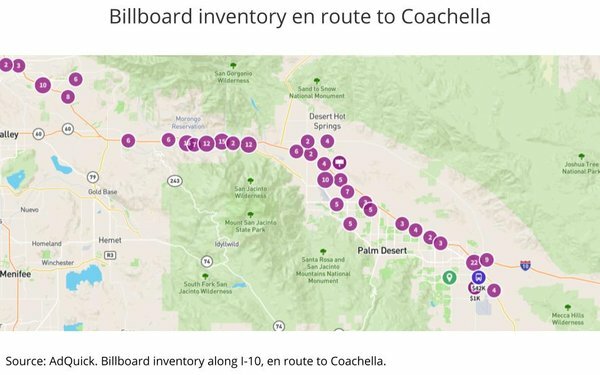 Out-of-home ad inventory for the premium billboard locations along Interstate 10 en route to the Coachella music festival in Indio, CA, this weekend jumped 31% vs. the rest of the year -- and 14.2% vs. April 2018 -- according to a unique data visualization created by digital, self-serve out-of-home media-buying platform AdQuick. Note the $42,000 price tag adjacent to the purple bus station icon, which is the hub for Coachella. The data is derived from AdQuick’s proprietary algorithm processing data from 100% of the printed and digital out-of-home media formats and inventory rate cards in the U.S. 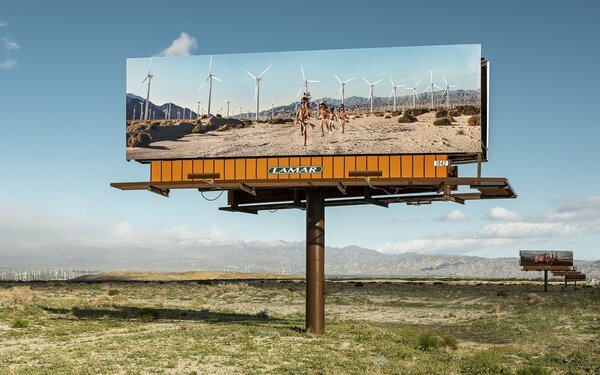 This analysis evaluated 378 billboards along I-10.